Toll Station Pizza in McCall is on the market. 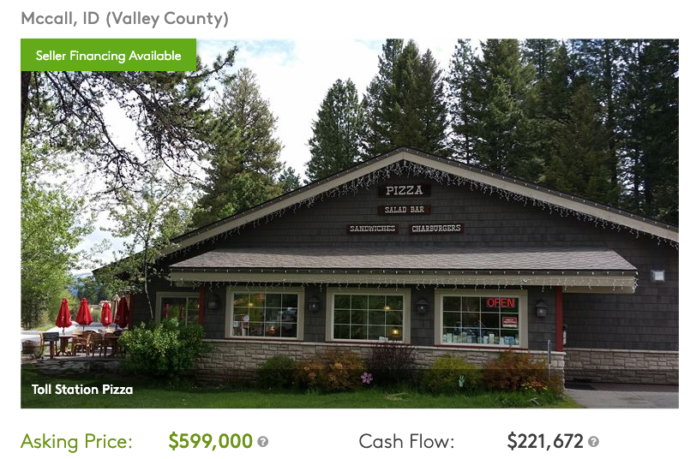 The long-running pizza restaurant near the lake in the resort town is listed on BizBuySell. Steve & Susan Riebe purchased the eatery in 2006, but have put it back up for sale – citing an ill family member. The restaurant first opened in 1981, and features pizza, pasta salads and a bar. Asking price is $599,000. It joins The Pancake House on Idaho 55, which remains on the market with an asking price of more than $3-million.